Thank your for all the visits at our booth. The interaction report from the conference showed that data was among the main topics discussed. And we are not surprised, as we know that you stand stronger with the right data on healthcare professionals. Customers are bombarded with media from the minute they get up to the minute they go to bed, so if your content isn’t professional, informative and delivered through a variety of media types then people won’t read, watch or listen to it. Multichannel is now as much about multimedia as it is about technology. Building on the above point, there were some excellent presentations from individuals within pharma on the important of ‘engaging’ with customers and building a two-way dialogue rather than simply ‘selling’ to them. 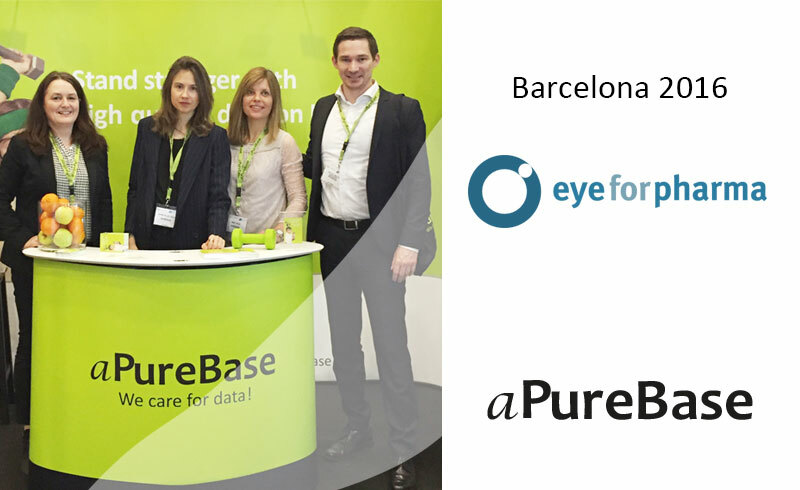 The theme for eyeforpharma Barcelona 2016 was ‘trust’ and how the industry could become a trusted partner. Healthcare systems need pharma, doctors use their products every day and patients would be far worse off without them. The above mentioned trends show that the industry is moving in the right direction. And that’s not a bad start. New year – New location!